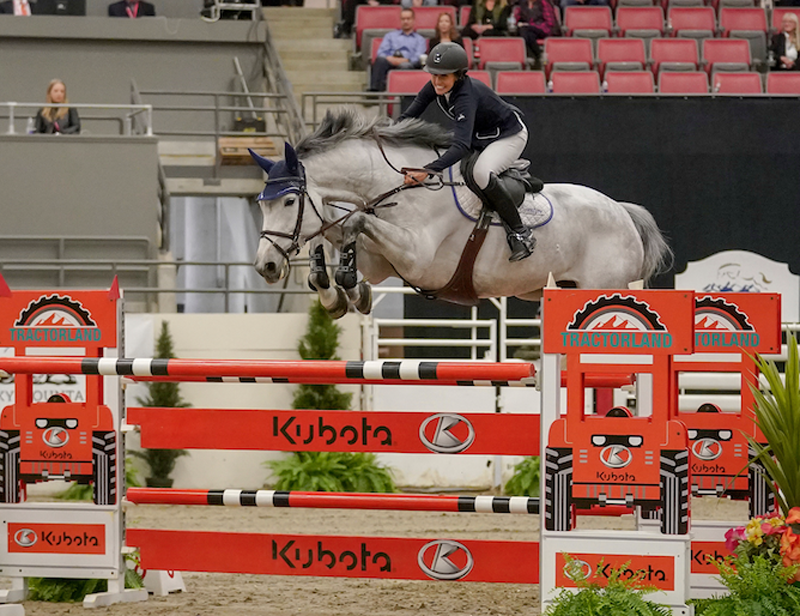 Rachel Cornacchia and Valkyrie De Talma were victorious in the $35,500 Tractorland Cup CSI2* at Royal West 2018 with a quick ride in the jump off of 32.17 seconds. “She [Valkyrie De Talma] is incredible, so brave and I can put complete trust in her,” explained Cornacchia, “Being on top of the podium feels great – unexpected but great.” Second place was awarded to Jim Ifko and Un Diamant Des Forets with 33.31 seconds. Yann Candele jumped a tidy round with a time of 34.53 on Granite S ending up third to complete a very exciting first week to Royal West 2018.